This week the design team for CASE-ing the Catty are focussing on the Christmas section of the Annual catalogue. You may have come from Rebecca's blog or perhaps you are starting here, either way welcome. 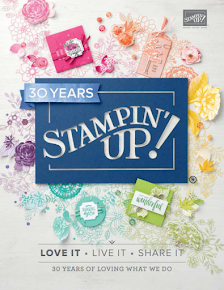 I must say I was super happy to see Christmas stamps back in the Annual Catalogue, weren't you? 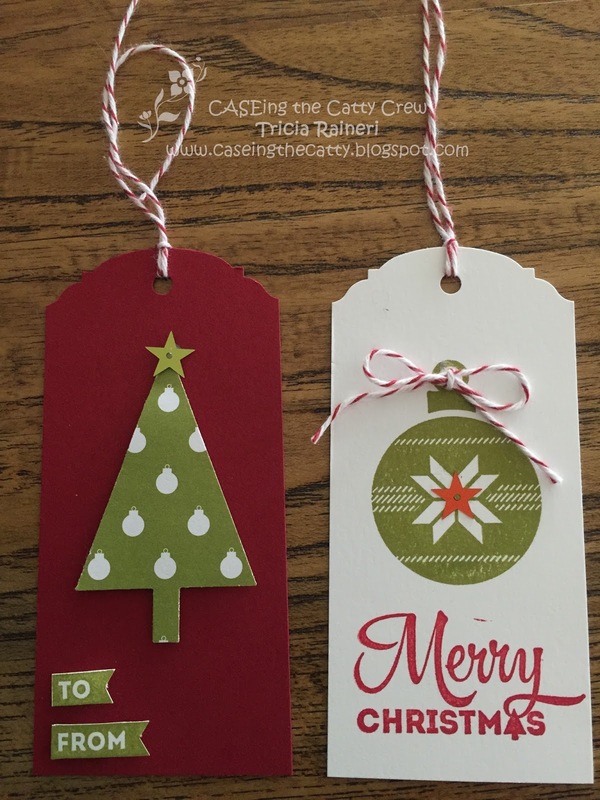 I love making Christmas projects & always do a 12 weeks for Christmas blog special counting down to Christmas day. I had the pleasure of demonstrating at the Craft & Quilt Fair in Melbourne last weekend. Hello to all the ladies I met at the show. One of the projects I made for this event was some Christmas tags. I CASED the catty on page 69 for these cute tags. 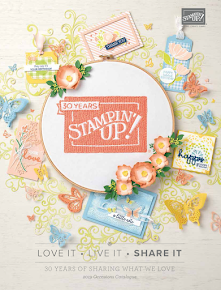 The Lots Of Joy stamp set is quite versatile as it has images with matching punches as well as some lovely sentiments. One tip I took from the catty was to use the tip of the Tree punch to make banners. How clever is that! Here is a close up of two of the tags. 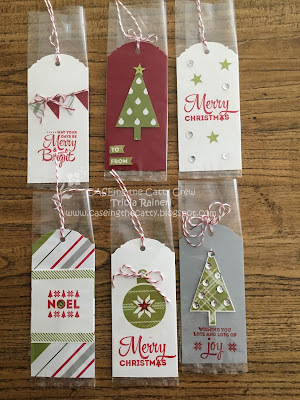 I have used the Ornate tag topper punch to make the tags. 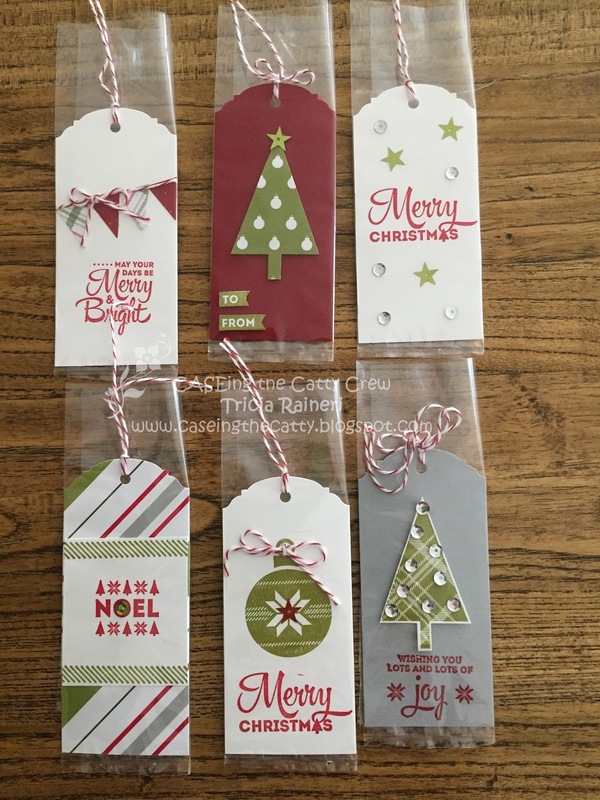 After I finished the tags, I thought I would make some stepped up versions of the tags into some cards whilst I had all my stamps & papers out (everywhere). 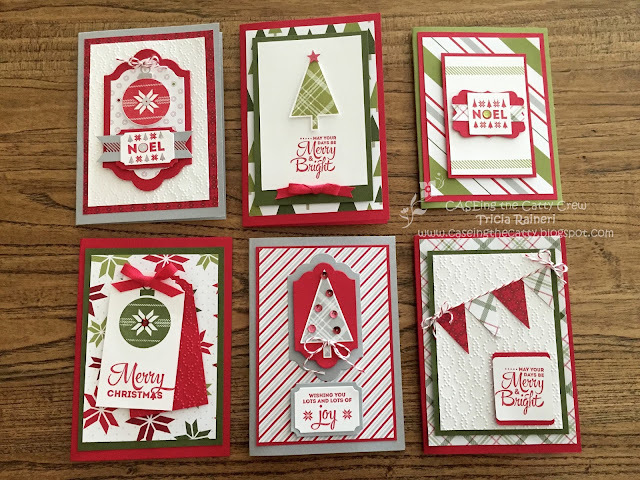 The Merry Moments DSP I used for these projects has classic stripes & spots as well as some Christmassy patterns like trees & poinsettias. I had lots of fun creating these 6 cards. I can not even begin to describe the state of my room afterwards though. There was a huge craftermath! Do you suffer from the same problem when creating? Its all fun until you have to clean it up, right?! Well that is all from me this week, but why not continue on the hop & see all the other lovely creations. 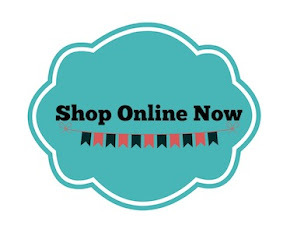 Click on the next blog picture below to be whisked away to Jackie's blog. I bet she has created something quite spectacular. You can see the complete list of participants at the CTC blog to continue the hop. Love, love, love how you created the cards from the tags. They are cute, cute, cute! Great job! Gorgeous tags and cards, Tricia. Great set of cards, Never even saw the tree punch used to make banners but it's obviously perfect! Nice way to showcase the DSP too.